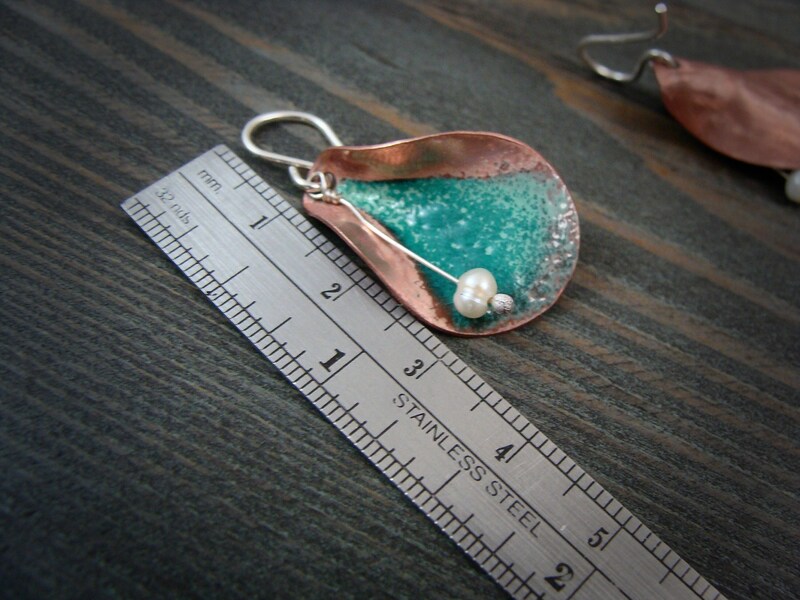 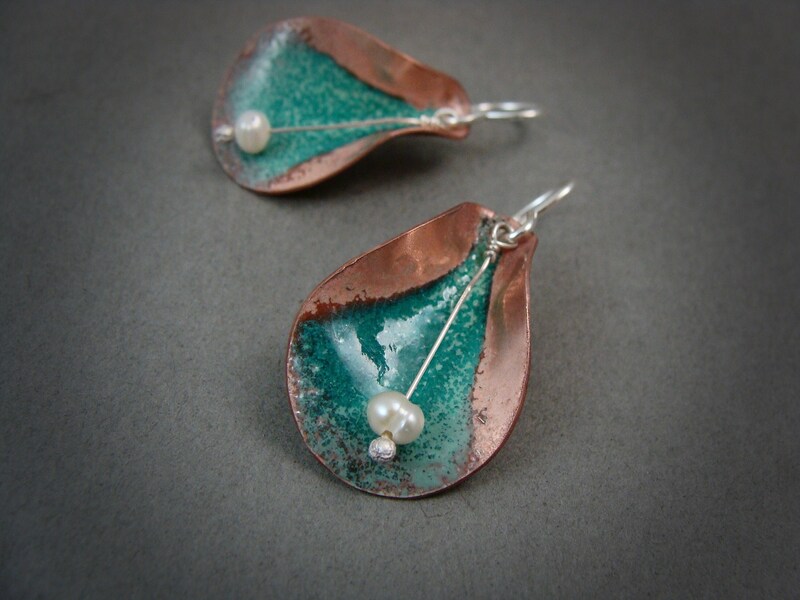 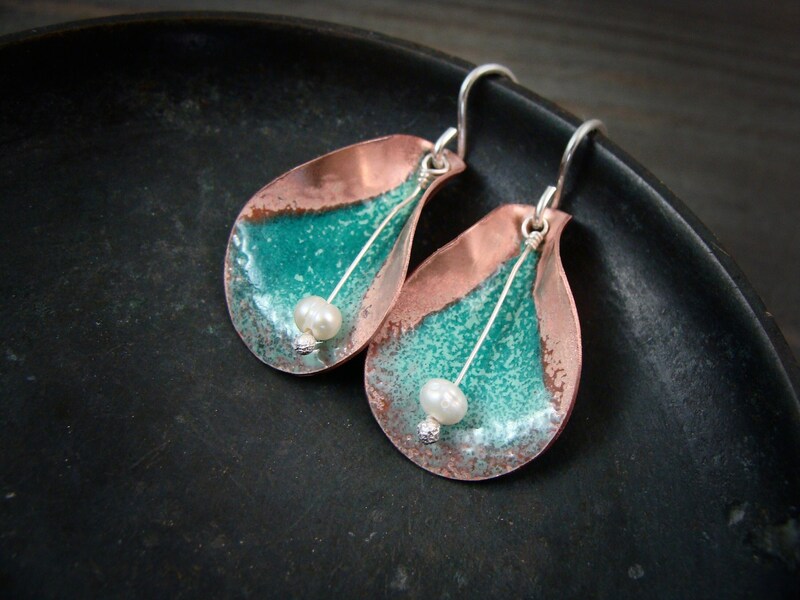 Warm copper has been hand formed and given a blueish green patina. 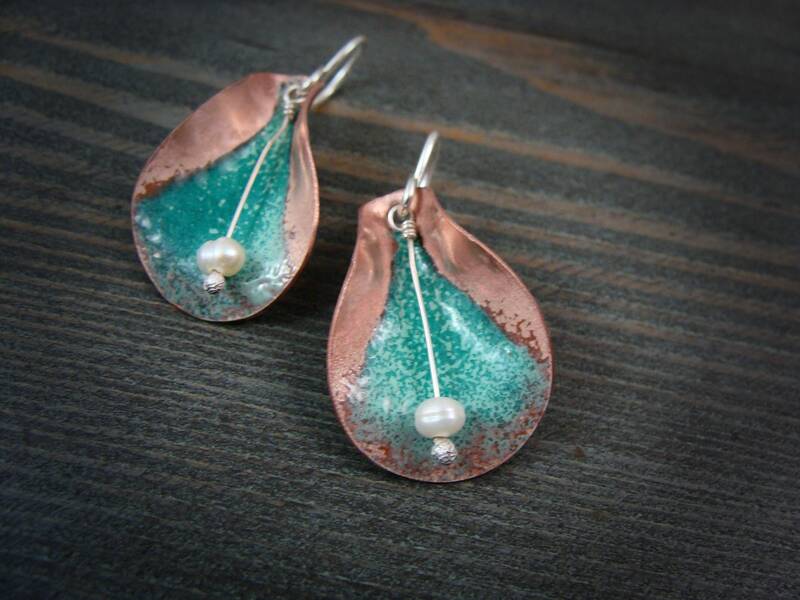 A crisp white fresh water pearl rests on a sterling wire within the organic shape. 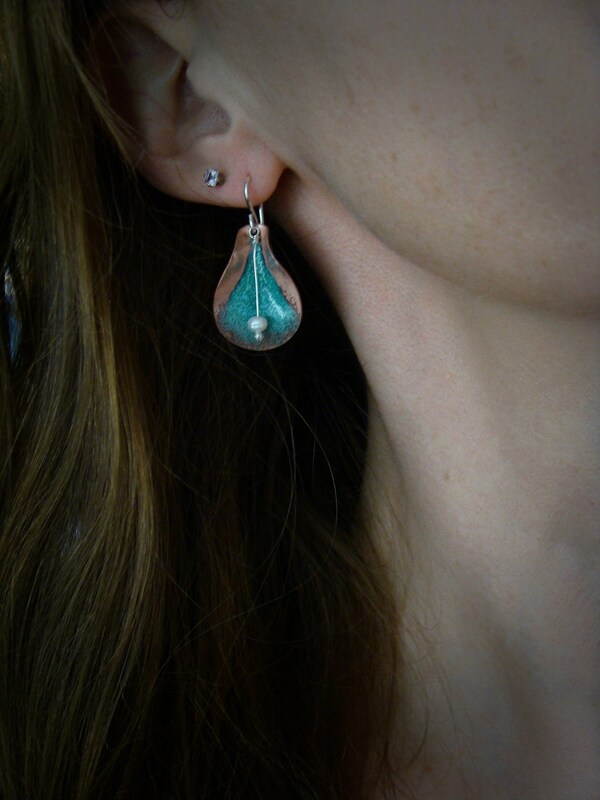 The earrings are on sterling silver ear wires. 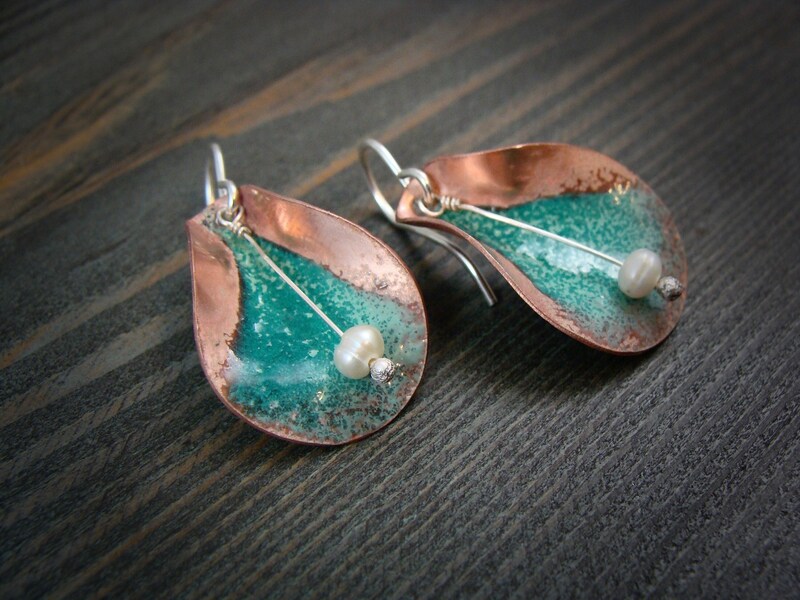 These earthy earrings are 5/8" wide and hang about 1 1/4" from sterling ear wires.